Though this first shipment is a tiny load in comparison to the amounts of cargo carried by both shipping and air freight, the attention and interest that the shipment has engendered illustrates that many exporters are looking closely at the method as a possible useful addition to freight services between Asia and Europe. This particular train will make calls in Germany, Poland, Belarus, Russia and Kazakhstan before arriving at Yiwu in eastern China on 27 April, and the opening up of the new overland freight route offers the possibility of exporting not just to China but to those countries on the route both more quickly and at a lower cost. The fact that the trip to the final destination is only 17 days, several weeks quicker than sea freight and substantially less expensive than air cargo means that there could well be a sizeable section of the international freight trade that might have commodities for which the reduced transit times are a useful factor, striking a good balance between ocean shipping and the higher costs involved when using air freight. Other freight service providers have also been looking at the new train services and working how to efficiently integrate them into their current offerings. Davies Turner, one of the UK’s leading independent freight forwarders, says that three months after it introduced a fixed-day, weekly rail service for LCL cargoes to the UK from the Chinese rail terminals of Wuhan and Hefei, it is pleased with the response from the marketplace. The service arranges collection of shipments from any location in mainland China to the rail terminals of either Hefei or Wuhan, where closing dates are approximately two days prior to the departure of the intercontinental rail service. That service then heads west across China, Kazakhstan, Belarus and into Warsaw in Poland. 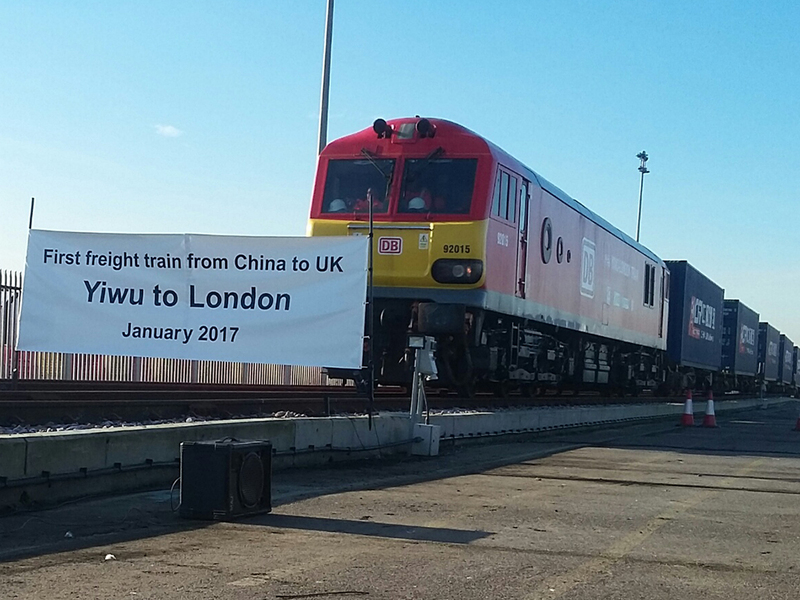 “We had been investigating the practicalities of a rail freight service from China to the UK and Ireland for some time and conducted a number of trials in 2016, before officially launching the service in January this year. We also offer a 25 day service to Ireland in conjunction with our own office in Dublin.